How Soon After Being Fired Does a Company Have to Get Your 401(K) to You? Companies offering 401(k) plans provide employees a tax-advantaged way to save for retirement. But if you lose your job or get fired, access to the funds in the 401(k) depends on the rules for your plan, valuation dates, your investments and the length of time it takes to process your paperwork. Although you may be in a hurry to withdraw funds from your 401(k) following termination, specific rules attached to your account may regulate how this process is officially undertaken. Every 401(k) plan has a plan document or summary plan description that specifies when you can distribute or withdraw funds. If you can't find the document, ask your plan administrator for a copy. Some companies actually require that you keep your money in the 401(k) until you turn 65, but this is uncommon. Most have a more lenient policy for distributing your funds. The company pays to keep your funds in the 401(k), so these rules are not done out of spite. They have more to do with when the company values the plan, and other administrative details. Companies value 401(k) participants' balances on different schedules. Some do so daily or monthly, while others do it quarterly, semiannually or yearly. If your former company does it at infrequent intervals, you may have to wait until after the next valuation date to distribute your funds from the plan. If your company matches your contributions, it may benefit you to wait until the end of the year you were terminated. Your regular matches will end when you're fired, but some plans offer year-end matches even after your employment ends. Liquidating or selling your investments also takes some time. You can sell and settle most investments – such as stocks, bonds and mutual funds – in a few days, but other investments, like real estate, can take longer to convert to cash. So even if your plan allows immediate access to your funds, you still have to wait for the investments to be converted to cash. Typically, this is not much of an issue, as most participants have their money in liquid investments. 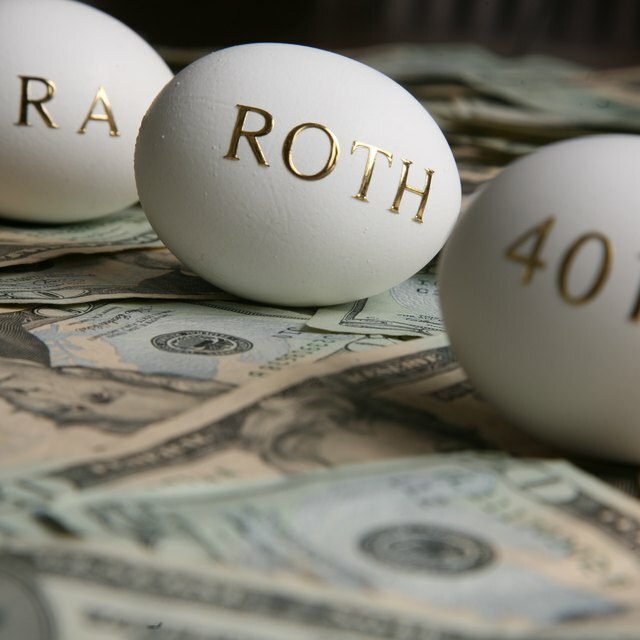 Can a Cash Balance Pension Plan Be Rolled Over to a Roth IRA? Some companies process documents quickly, while others seem to take forever. To complete the paperwork that gives you access to your 401(k) funds, you will likely work with your plan administrator, the investment firm that manages the 401(k) and the bank or brokerage firm that holds your new account, if you plan to reinvest it. This process can take a couple of days to a few weeks. It's to your advantage to keep your money in a qualified retirement plan to retain all the tax advantages of the account. You can do this easily with a direct rollover to an individual retirement account, or IRA. This is done between your 401(k) firm and your new brokerage. If the cash goes to you instead and you don't redeposit it into an IRA within 60 days of withdrawal, you'll pay a 10 percent early withdrawal fee. You’ll also have to pay ordinary income tax on the total amount in the year of the withdrawal. The early withdrawal fees do not apply to those over the age of 59 1/2. Bankrate: I Lost My Job -- What Happens to My 401(k)?